Home → Events, News → Library Lunch for Grad Students This Friday! Library Lunch for Grad Students This Friday! Note: We are no longer taking RSVPs for this event. Stay tuned for our next student listening session in March. Grad students: join Portland State librarians for a pizza lunch on Friday, February 5! 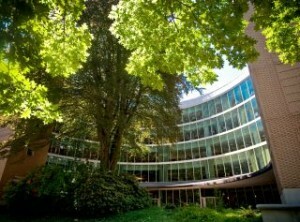 We want to find out what you think about PSU Library. What’s your favorite place to study? What’s your biggest frustration in the building? Are library hours working for you? How can we make your life easier as a grad student? We’ll have fresh pizza from Sizzle Pie, soda and water, and a chance to talk about your interactions with PSU Library. Questions? Contact librarian Joan Petit at 503-725-2397 or jpetit@pdx.edu.